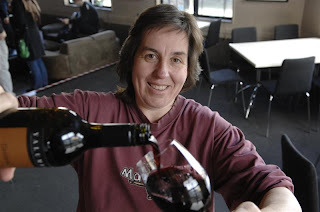 A winemaking graduate from Roseworthy College, Australia, Jane joined Yalumba in 1987 and worked in mainly technical roles before her current position as Yalumba Communications / Brand Ambassador. From the brief lunch that I enjoyed with Jane, even though the majority of conversations were Yalumba focused, I could really sense that Jane could talk for hours, not just about wine, but also her travels around the world in the different jobs she’s held. 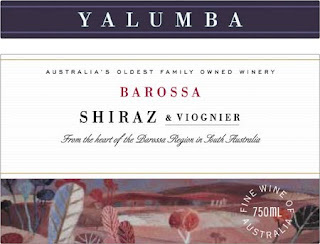 Jane also writes a blog entitled Yalumba Stories. JF: Well, I’m a winemaker by trade, I started in the Barossa years ago, and I’ve done everything but winemaking at Yalumba. I ran the night-shift crush for a couple of years, I worked bottling quality control for a couple of years, then I left and worked at Rockford (cult Barossa Valley winery) for 3 years and looked after their cellar door and the general public. It was at Rockford that I was introduced to winemaker Robert O’Callahan who’s this gorgeous custodian of the historical keys of the Australian winemaking world. He was really the first to introduce me to how important the relationship a winery has with its consumer. Then I went back to Yalumba in the same role, they have a commercial kitchen, so I looked after that and winery events for several years, and then 6 years ago Yalumba offered me the opportunity to basically go on the road. I’ve spent a lot of time working the harvest, working in and around the cooperage and the laboratories so that I know what’s going on everywhere. I go on the road for between 6-8 months, not all in one go, and my job is to tell the story, whether it’s master classes for the trade or consumers or dinners. That’s my job. KC: Over lunch, you were comparing the Barossa region of Southern Australia to the Rhone region of France. Could you expand on that a little? JF: Yeah, the Barossa and the Rhone are pretty much soul-mate regions, they’ve got a similar lay of the land, they’ve got a similar varietal mix, they’ve got a similar sort of approach I think, food and wine culture-wise. 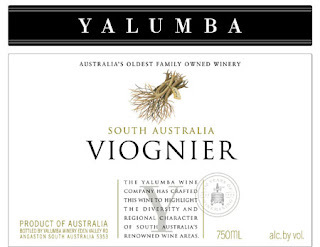 KC: And that’s why Yalumba deals so much in Viognier? JF: We chased Viognier as a labor of love really, one of our Directors used to be the OIV (Organisation Internationale de la Vigne et du Vin) Representative for Australia and he would go to France twice a year and try and find something in the French regions that we could use as inspiration. He went to the Rhone, fell in love with Condrieu, fell in love with Viognier, and we planted it 26 years ago when there were only 15 hectares left in the world. We’ve never claimed anything silly like “we make the best Viognier in the world” but we can honestly claim that we have introduced most folks in the world to Viognier and Condrieu via Australia. 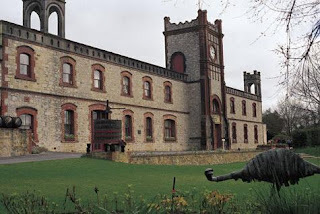 KC: What are you doing different at Yalumba either in your vineyards or at your winery, that other winemakers are not, and which of these practices are you particularly proud of? JF: I think, some of the things that we’ve been doing for 50 years are what’s setting us apart, and that’s the lovely thing about being 160 years old. I mean we’ve been doing all sorts of things with water and our vineyards steadily over the last 50 years and they’ve been culminating to our contribution to sustainability. Sustainability isn’t just a buzzword, we stopped spraying pesticides in our vineyards 20 years ago so that gives us really flourishing wild yeast populations, and allows us to do 100% wild yeast fermentation in some of our white wines. We also run biological controls for pests in our vineyards, and we’ve had to learn that ourselves, we run our own re-vegetation programs, and we’ve had to learn that ourselves. We had consultants in the start, but they didn’t do as good a job as we were doing. We’ve done a lot of work behind the scenes identifying exactly which resident micro-flora, yeasts, bacteria and mold live in our world. This way, we have a better understanding of what is happening during our fermentations and actually get a better balance and texture in our wines, without resorting to a whole dose of malolactic fermentation. In 1988 we resurrected our cooperage (Yalumba makes their own wine barrels) because with the explosion in world winemaking, the two things that didn’t keep up were cork and oak. We wanted to make sure that we have a better integration of tannins and fruit with our dry reds. We started that by importing our own timber and making our own barrels from scratch, aging it out in the weather which gives us a major advantage, because we can do power with elegance, we haven’t got these big overbearing fruit-bomb wines with aggressive tannins; that’s very important to us. KC: Everyone has their own idea of Australian wine. 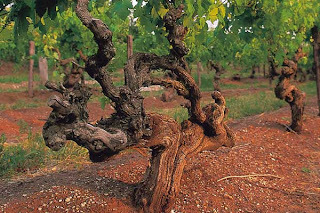 Where do you believe the Australia wine industry is at the moment? JF: The Australian wine industry is a many faceted unit, you talk to different people around the world and their concept of what Australian wine is, is quite different. 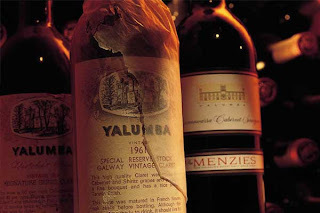 For some people it’s Penfolds Grange, for some people it’s Yellow Tail, for some people it’s Steven Henschke’s “Hill of Grace”, for some people it’s Yalumba. They’ve fallen in love with us , we’ve fallen in love with them! You go down to Bonnell’s Restaurant in Forth Worth, they’ve got 23 of our wines on the list, nearly everything we make! You go to this tiny bed and breakfast Georgian House, restaurant in Sands End just north of Whitby on the coast in England, those two boys have fallen in love with us, we’ve fallen in love with them, we’ve got around 19 wines on the list there. 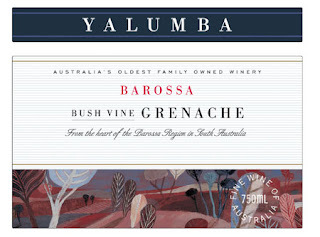 So you talk to someone from Sands End, their concept of Australian wine is primarily going to be based around Yalumba. I think Australian wine, maybe in America, people seem to have the idea that all we do is push out huge volumes of wines that are multi-regional, multi-varietal blends, and it could be wine from anywhere, you know? And I don’t think that they have this idea that there are these many, many discreet winemaking regions that have many regional strengths, regional food/wine cultures, and within these regions there are wineries that are making specific wines to that region. For example, we make our Tri-Centenary Grenache from 2 acres of fruit that were planted in 1889. There’s not a trellis post to be seen, they’re free-standing and they push out the most gorgeous stuff, but that’s not what people seem to know Australian wine for. So I think there’s a lot of work to do, but there’s a lot of folks that are like-minded in Australia, that are really keen on getting this regionality idea out there, trying to emphasize the French idea of terroir and how it applies to our regions. I believe that is the future for Australia. KC: Your favorite wine outside of Australia? JF: I’ve got a really nasty sweet tooth, so Icewine from Canada, Sauternes from France, I have a thing for fortified wines, so maybe some of the really old Oloroso Sherries.